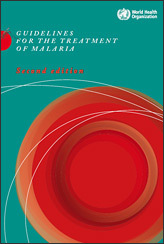 Overview The World Health Organization Guidelines for the treatment of malaria provides evidence-based and up-to-date recommendations for countries on malaria diagnosis and treatment which help countries formulate their policies and strategies. 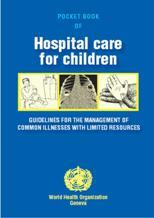 In scope, the Guidelines cover the diagnosis and treatment of uncomplicated and severe malaria caused by all types of malaria, including in special groups (young children, pregnant women, HIV /AIDS), in travellers (from non-malaria endemic regions) and in epidemics and complex emergency situations. 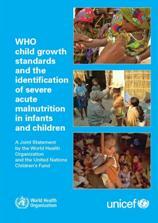 The statement presents the recommended cut-offs, summarizes the rationale for their adoption and advocates for their harmonized application in the identification of 6 to 60 month old infants and children for the management of severe acute malnutrition. It reviews the implications on patient load, on discharge criteria and on programme planning and monitoring. It also recommends the increase of the MUAC cut-off for defining severe acute malnutrition in children 6 months to 5 years of age from 110 mm to 115 mm.